We’re loving this line of Disney home stuff from Ethan Allen right now! 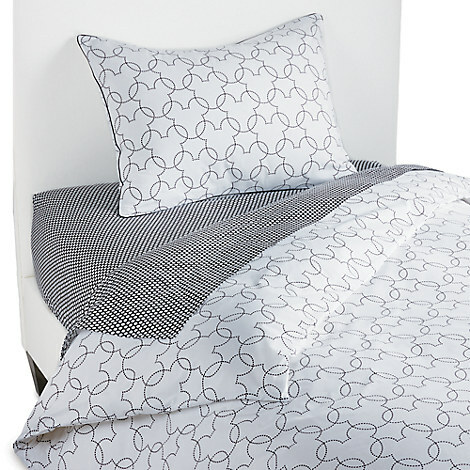 We love us a good excuse to stay in our bed and this Ethan Allen Mickey Mouse Duvet Cover gives us the perfect excuse to snuggle up all doggone day! You can order this slice of heaven in black or red and in twin or full/queen, giving you nearly every reason to have one on every bed in the house! Night Night! Oh I love this! I wish that it was blue, but I absolutely love it. All the Ethan Allen stuff at the Disney story is so awesome! I totally want to fill my house with it.